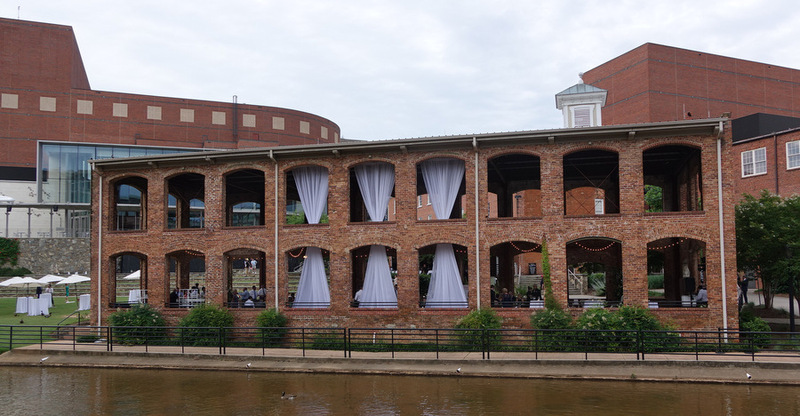 The Wyche Pavilion on the Reedy River frequently hosts weddings and receptions. 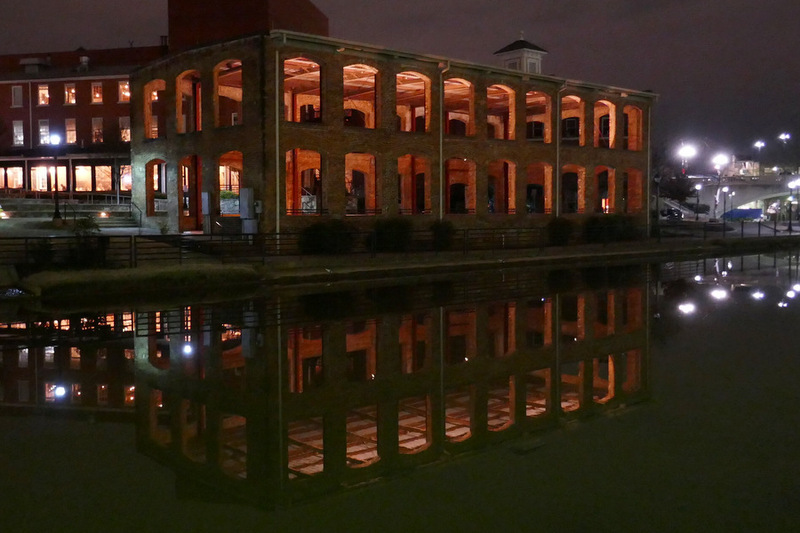 The Wyche Pavilion and its reflection in the Reedy River. Interior of the Wyche Pavilion, often used for special events such as wedding receptions. The Wyche Pavilion, with Larkin’s on the River outdoor dining area in the background. 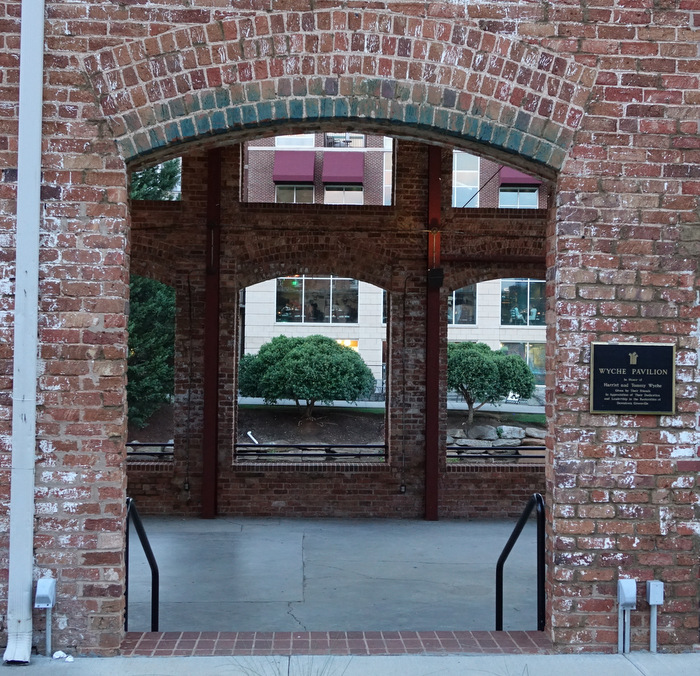 Looking through the Wyche Pavilion toward River Place. The Wyche Pavilion by the Reedy River was booked for a wedding, and this tent was set up next to the Pavilion for additional space. This photo has had a bit of added abstraction for effect. Buckets of Rain : the swollen Reedy River flowing by the Wyche Pavilion. A juggler practices his craft in the Wyche Pavilion. The historic Wyche Pavilion was built as a paint shop for carriages, but was soon converted to one of the first factories for Duke’s mayonnaise. 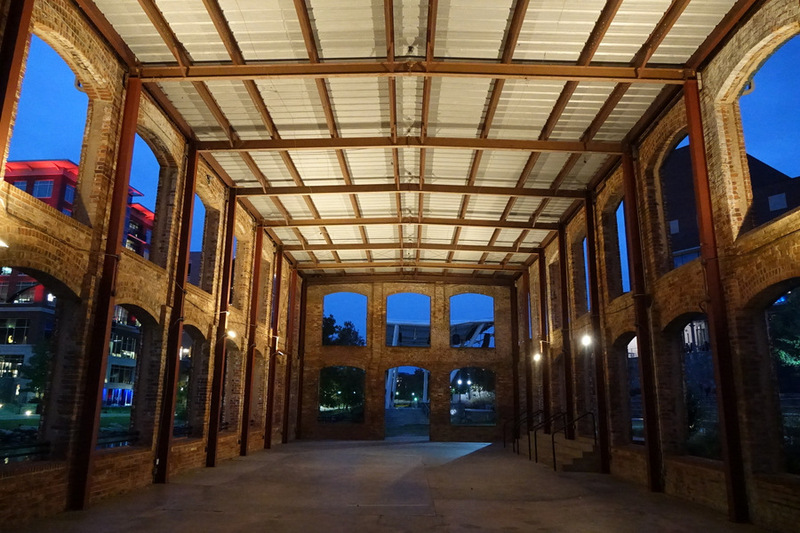 It is now a popular location for wedding receptions or to rent for parties, and is open as a public space at all other times. Evening on the Reedy River, facing the Wyche Pavilion and TD Stage.